A movement of the Spirit of God during the past 150 years has formed groups of Christians throughout the world who meet solely in the Name of the Lord Jesus Christ as the divine gathering center (Matt. 18:20). They have sought to return to New Testament principles and practices. 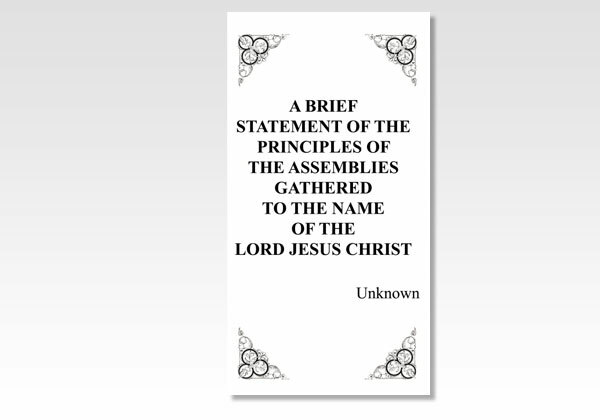 Believing that "the church of the living God," which the Spirit of God has formed, is composed of "one body" of all born again, Spirit indwelt believers in Christ, they meet together locally simply as members of that "one body" (Rom. 12:5; 1 Cor. 12:12-13; Eph. 4:4).